Every now and again certain products and accessories catch your eye that you can’t stop thinking about. Admittedly I have quite a few fashion faves at the moment but one that I’ve had my eye on for a long time now is the Gucci Soho Disco bag. On a recent trip to New York I decided to finally take the plunge and pick this up as a special treat to myself. For anyone else who might also have their eye on this little beauty, you can find the low-down and high-res images below. New York in the summer is absolutely glorious. 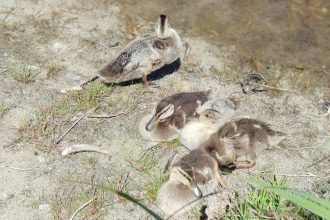 The weather, the sunshine and the abundance of things to see and explore makes for the perfect getaway. If you are keen to take in some fashion shopping whilst in NYC then Fifth Avenue is where you definitely need to be. I’d been planning on making a beeline to the Gucci flagship store on Fifth Avenue for a while, so on our second day in the city we headed there for a visit. I’d initially been a little apprehensive to visit a designer store halfway through the day when myself and my family were in our more casual comfortable clothing and trainers for a day of walking and sightseeing, but I needn’t have worried. The Gucci Fifth Avenue staff were friendly, welcoming and wonderfully helpful. When I had trouble locating the bag I wanted, a sales assistant came over and found it for us and offered us a glass of ice cold champagne whilst I tried the bag on to make sure it was what I wanted. Bliss! This style of bag was exactly what I needed so I knew I was going to buy it. Priced at £715 it is actually one of their lower priced bags, but still an absolute investment piece that I really had to justify purchasing. 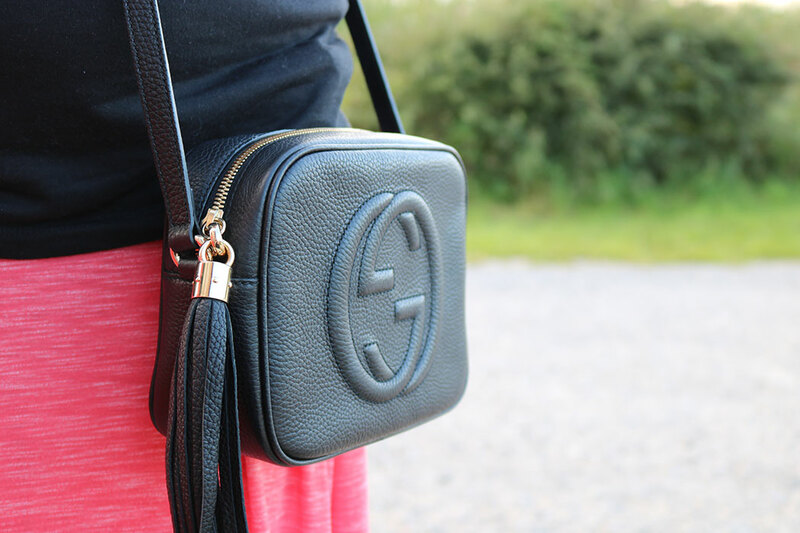 I opted for the Gucci Soho Disco in Black as it is perfect for summer, but I know that I’ll be getting the maximum amount of use from it throughout the Autumn and Winter months ahead too. The style is so wearable and it will go with absolutely any outfit. Another thing that made me fall in love with this bag is how well made it is. 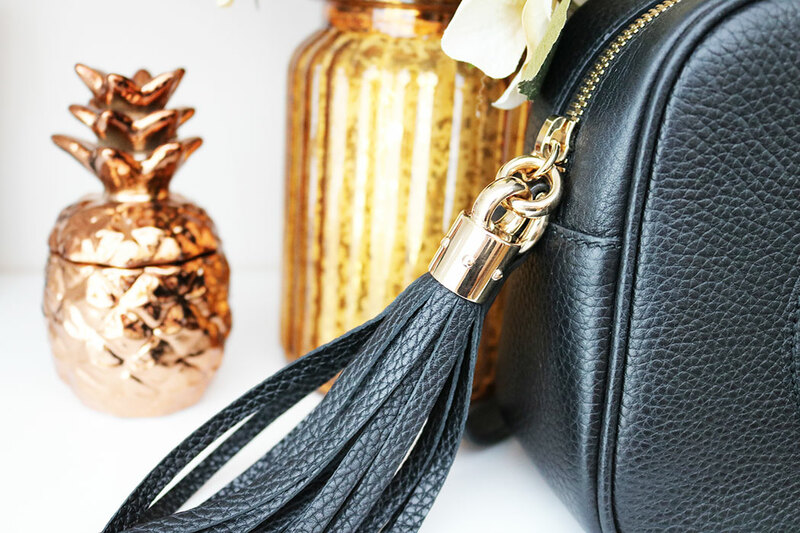 The zipper tassel is beautifully crafted and built to last. I’ve seen bags in similar styles to this from cheaper brands and the fixings feel flimsy and light. 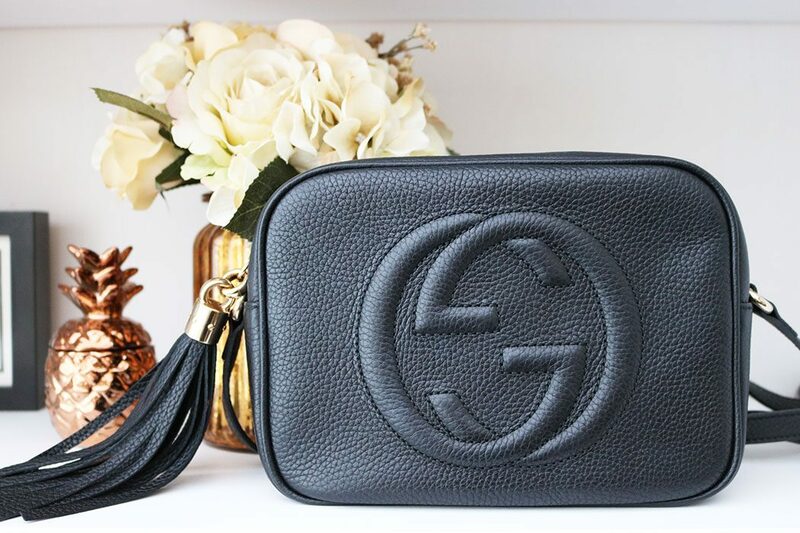 The Gucci Soho Disco bag, however, is the perfect example of luxurious design at it’s finest. Every element of this bag exudes quality and you just know that it has been made to last for many years to come. The Gucci Soho Disco bag is also deceptively spacious. Your phone, wallet, keys and so much more will easily slide inside. I can happily say that I am beyond thrilled with my purchase and with how I’m finding it after putting it to the test back at home in the UK. I’m seriously tempted to purchase the same design but in red for the autumn and winter months so if I manage to get my hands on one I’ll definitely come back with another review for you all. I can see Gucci being one of my favourite designer brands for years to come, so I’m looking forward to building my collection of designer bags and featuring them more frequently here. It’s safe to say I’m well and truly hooked. 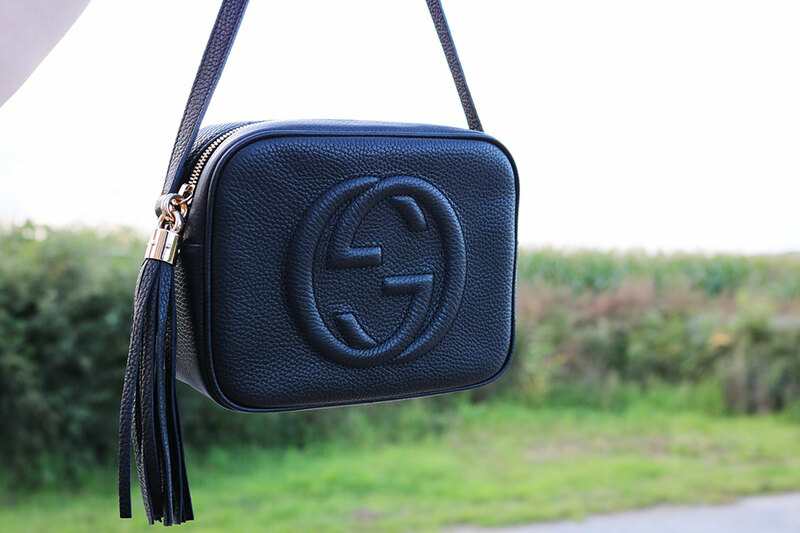 Find the Gucci Soho Disco in Black at various depertment stores or pick up a bargain on eBay here. Disclaimer: please note that unless otherwise stated affiliate links are present. Read more fashion features here.